As you can probably tell, I truly enjoy Indian food. 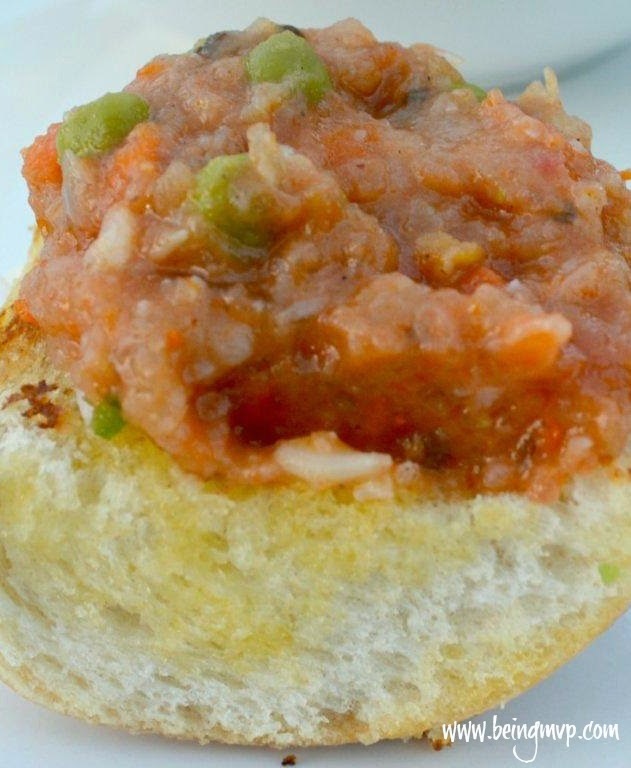 A very popular dish in Mumbai is pav bhaji and kind of reminds me of baby food because it's truly a bunch of mashed up vegetables. However, there are some intense flavors soaked into it. 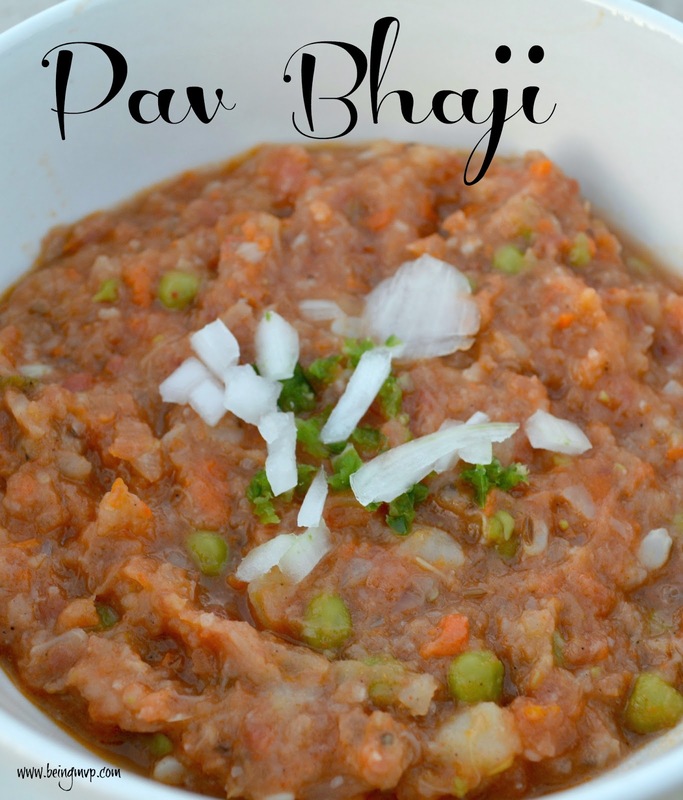 Pav Bhaji is usually considered a snack food but can also be served as a full meal. Heat butter and oil in a large pot and then add in the cumin seeds. When the seeds crackle, add in chili, garlic and ginger and sauté for 1-2 minutes. Add in onions and sauté for an additional 3-4 minutes, frequently stirring. 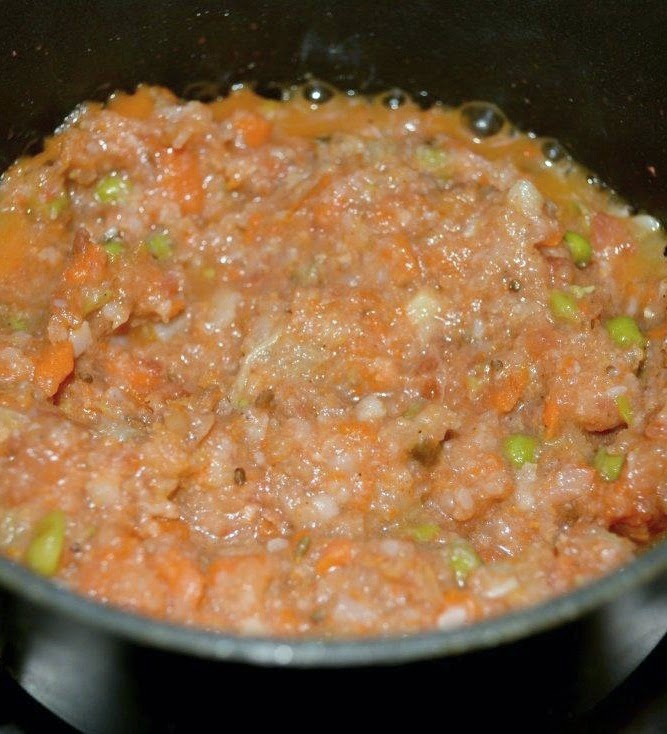 Add in the tomatoes and cook for 3-4 minutes and mash while stirring. Add salt, pav bjaji masala and cook for 2 more minutes. Mix in green peas, potatoes, carrots, cauliflower, and 1/3 cup of water. Cook for 3 minutes while mashing and stirring everything. Slit dinner rolls in half. Butter all sides and cook on stove until brown and crisp. Serve with lime, cilantro chilies and red onion. I like the spicy flavor that comes with making Indian food. This looks so delicous. I am a fan of vegetables so this would be a perfect meal for me to make. I have never tried Indian food before but this looks pretty good. this sounds soo good! It reminds me of goulash or sloppy joes but Indian flavors, I'd love to try it! Mmm!! I love indian food too!! This and warm naan sounds like something I could eat 24/7! !